This Lush Floral textile pattern is perfect for those live in your workout wear styles. Lush Floral pattern takes its design cues from the beach-to-street fashion. Pattern inspiration: Sea and surf, tropical plants, and hidden gardens. Lush Floral takes its design cues from the beach-to-street styles. Pattern inspiration: Sea and surf, tropical plants, and hidden gardens. Trends: Tropical Iridescence, photorealism, natural elements, layering images, hand painted. File format: Photoshop. Textile design by Chris Olson. This Lush Floral textile pattern is perfect for those live in your workout wear styles. 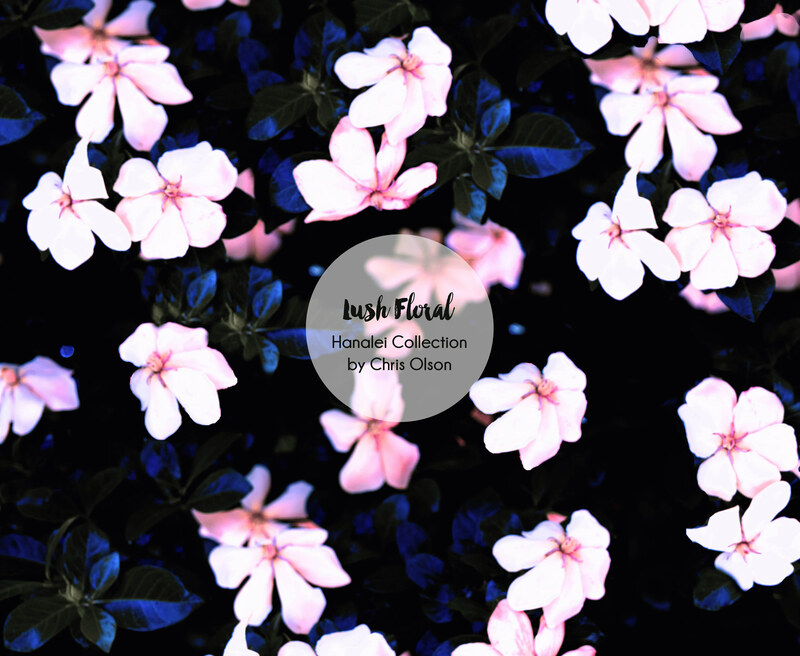 Lush Floral takes its design cues from the beach-to-street styles. Pattern inspiration: Sea and surf, tropical plants, and hidden gardens. Trends: Tropical Iridescence, photorealism, natural elements, layering images, hand painted. File format: Photoshop. Textile design by Chris Olson. If you are a Licensee or Manufacturer, the entire Hanalei Collection is available for viewing and purchase on my portfolio website at ChrisCocoMedia. To gain access to this password protected gallery, I invite you to visit my Client Login page and request access to Chris Olson's online portfolio.